LIBERTY TOWNSHIP, Ohio, Jan. 26, 2016 — The Earthwise Group, manufacturers of high quality Earthwise Windows & Doors, experienced remarkable growth in 2015. The group reached the benchmark of producing 1 million windows this past year. Earthwise products are now distributed in 43 states and sales are up 16% from the prior year. Over the past five years, sales have doubled for the Earthwise Group as a whole. Earthwise windows and sliding glass patio doors are used for replacement, remodeling and new construction applications. Earthwise windows and doors are manufactured by locally-owned, independent fabricators strategically located across the U.S. This collaborative alliance provides the framework for a unique and powerful business strategy for independent window and door manufacturers. Companies who are part of the Earthwise Group can reap the benefits of group purchasing power. Members share best practices in the areas of operations, design, purchasing and more. Additionally, a national marketing program for the Earthwise brand generates leads for participating manufacturers. For the coming year, Earthwise Windows & Doors is pleased to announce they are a major sponsor of the Cost vs. Value Report from Remodeling Magazine. This annual online analysis of 100 U.S. markets shows the average cost for 30 popular remodeling projects and the value those projects retain at resale. The Earthwise Group has earned numerous third-party certifications. 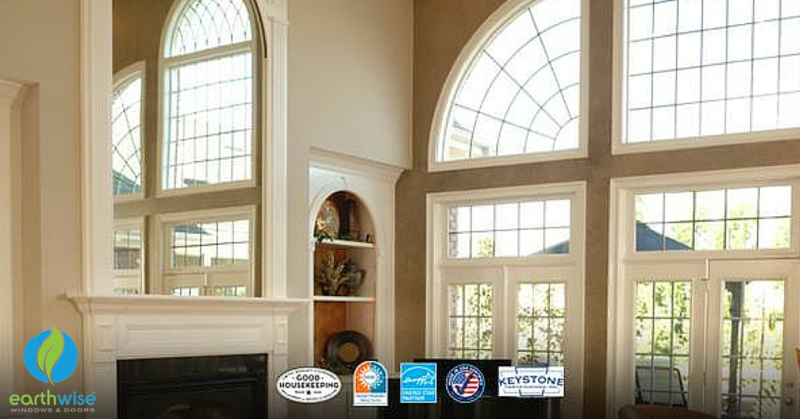 They were the first window and door manufacturer to be Made in USA-Certified®. Earthwise products also carry the coveted Good Housekeeping Seal which provides consumers with a two-year, money-back guarantee. The combination of the Good Housekeeping Seal and the Earthwise Limited Lifetime Manufacturer’s Warranty results in the strongest warranty in the industry today. The Earthwise Group is an ENERGY STAR® Manufacturing Partner and is also NFRC certified through Keystone Certifications.